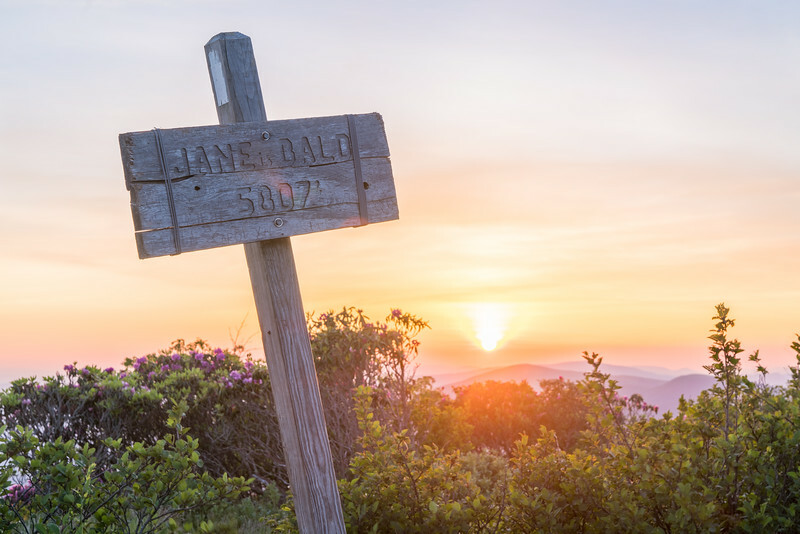 An gorgeous sunrise from atop Round Balt on Mountain along the Appalachian Trail. 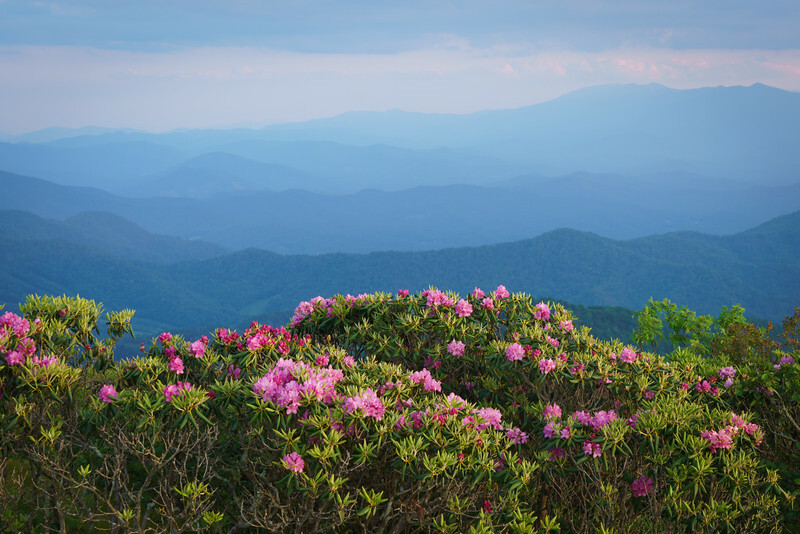 We were able to hit the peak of the incredible rhododendron bloom during our hike in early June. 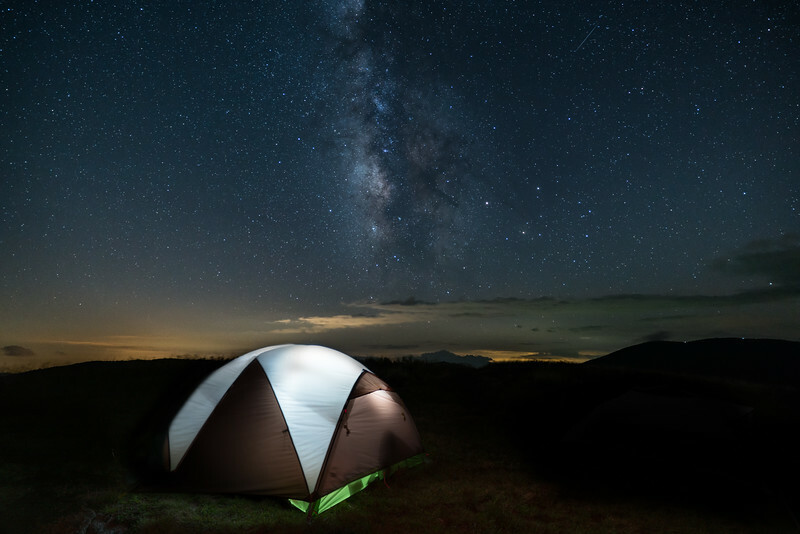 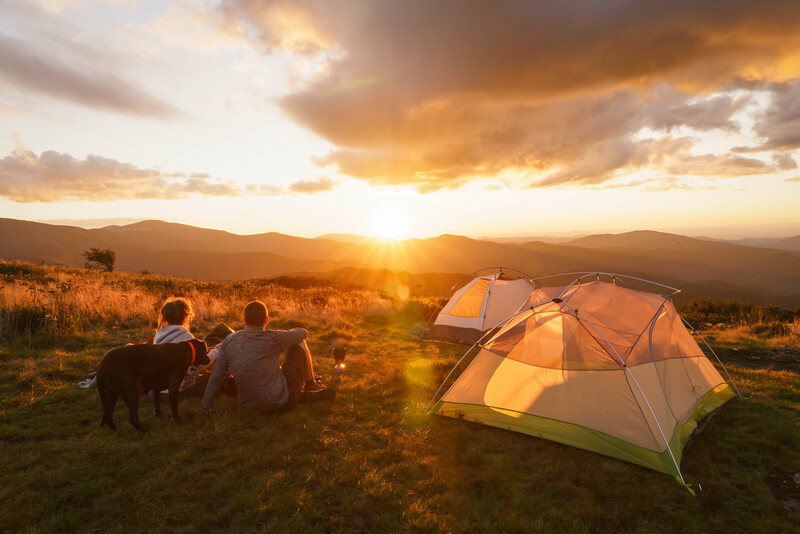 Something every nature lover should experience in their life. 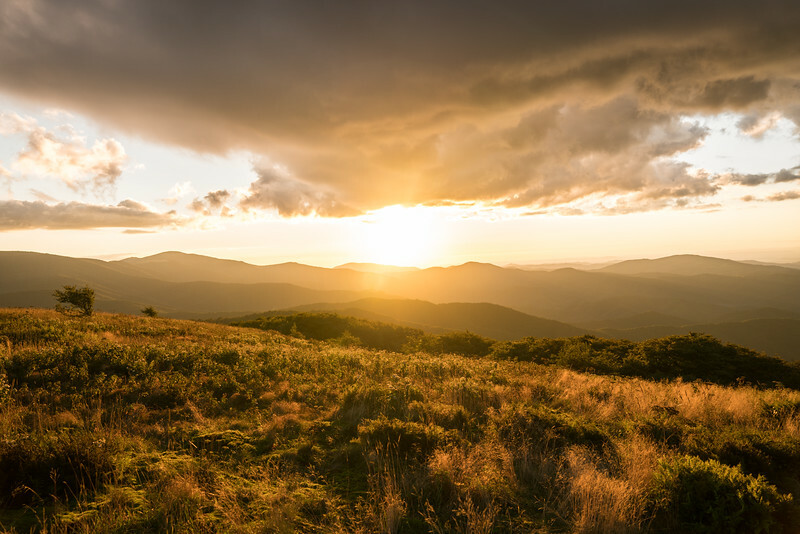 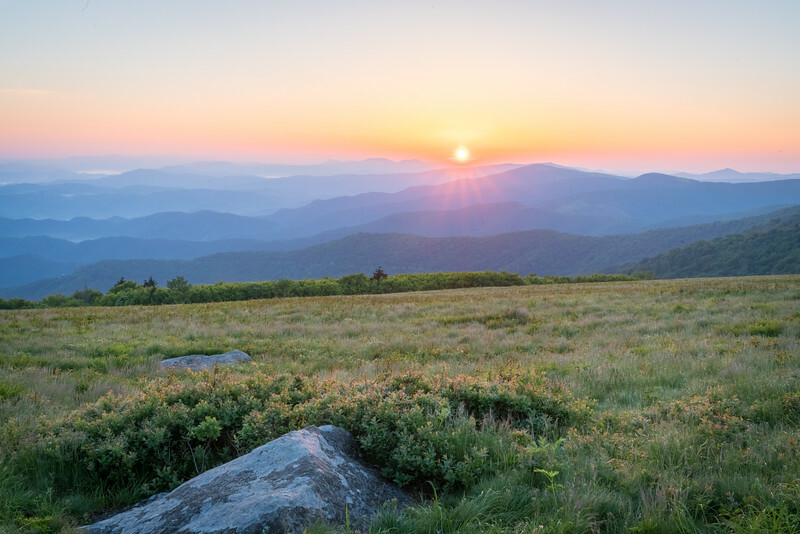 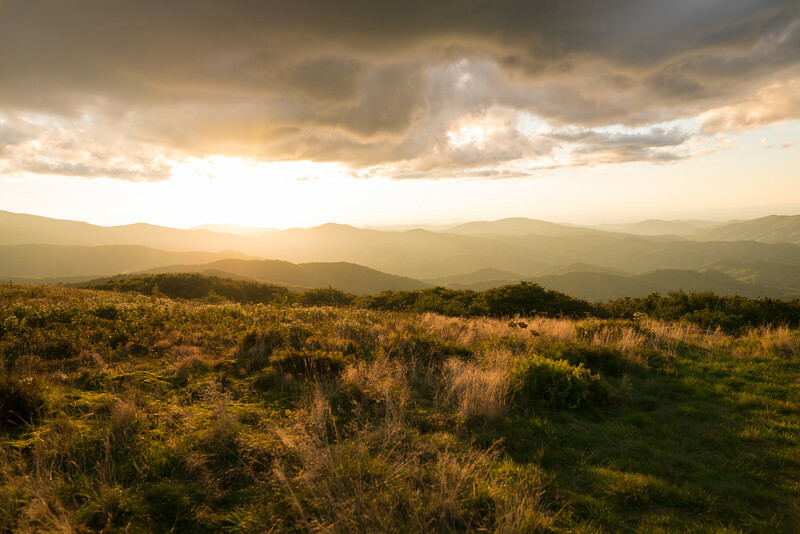 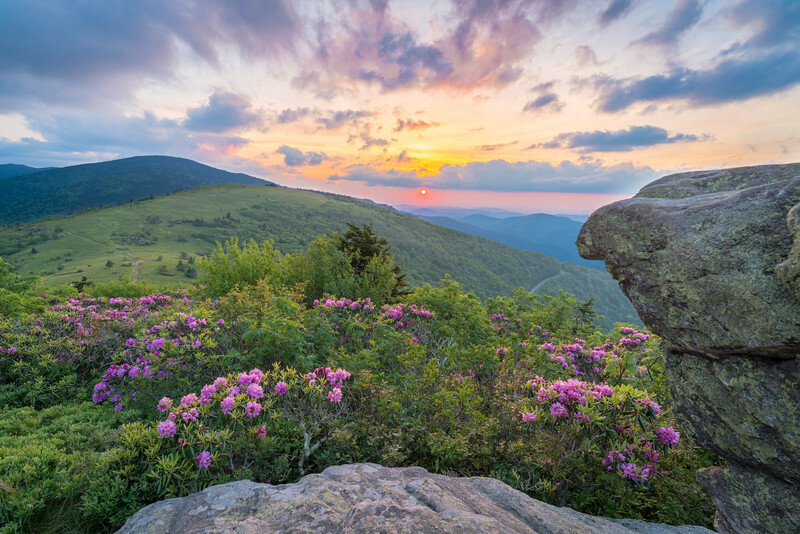 An incredible sunset from the rocks of Jane Bald on Roan Mountain. 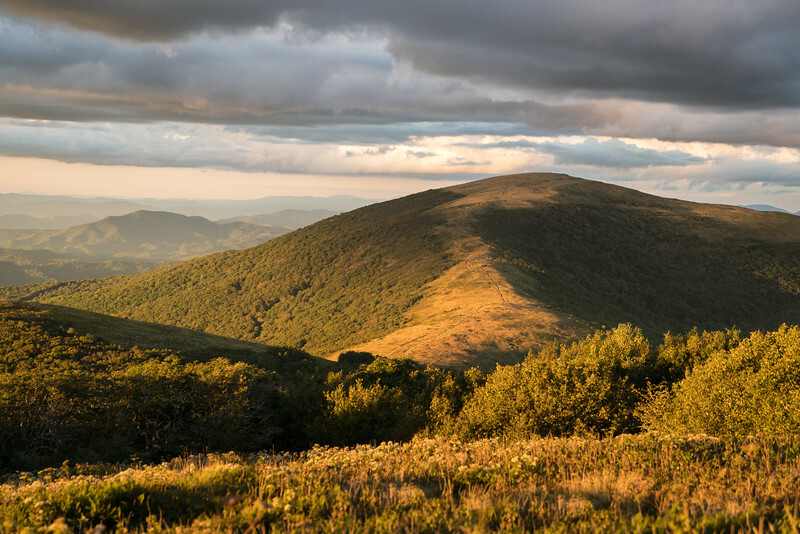 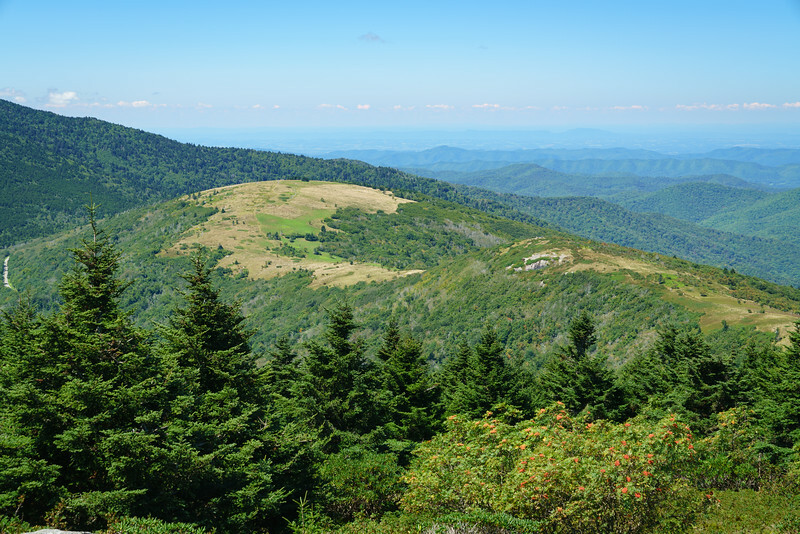 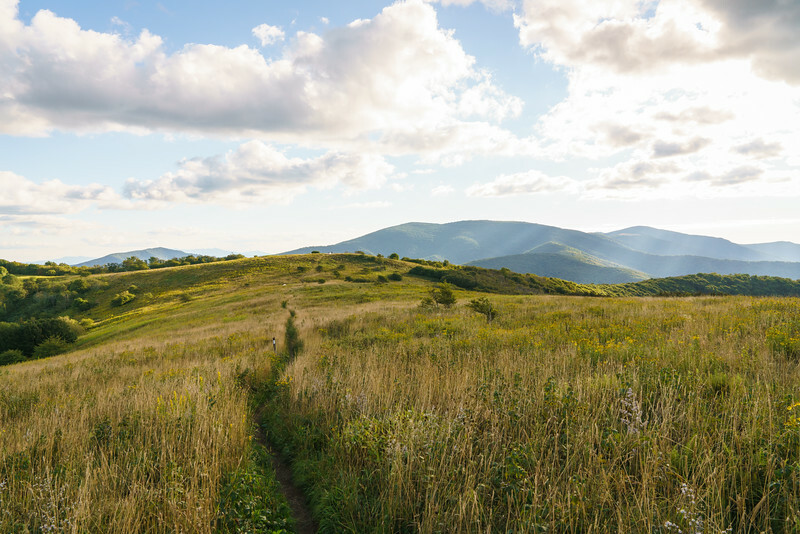 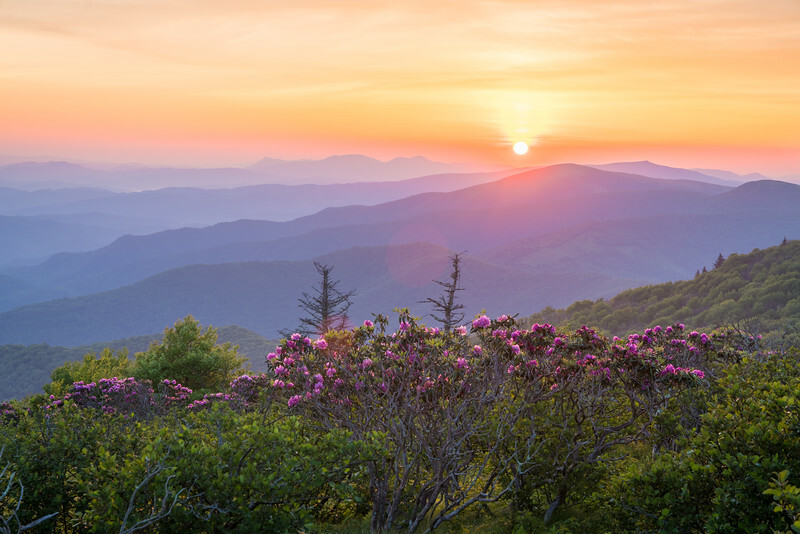 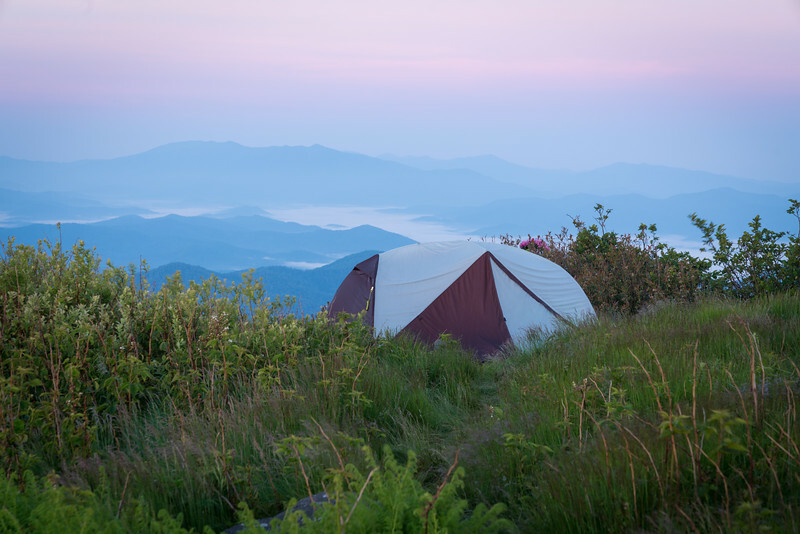 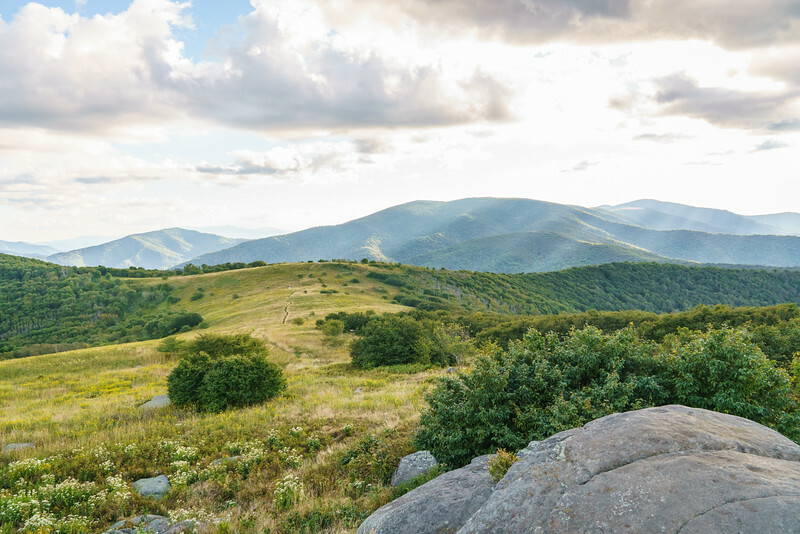 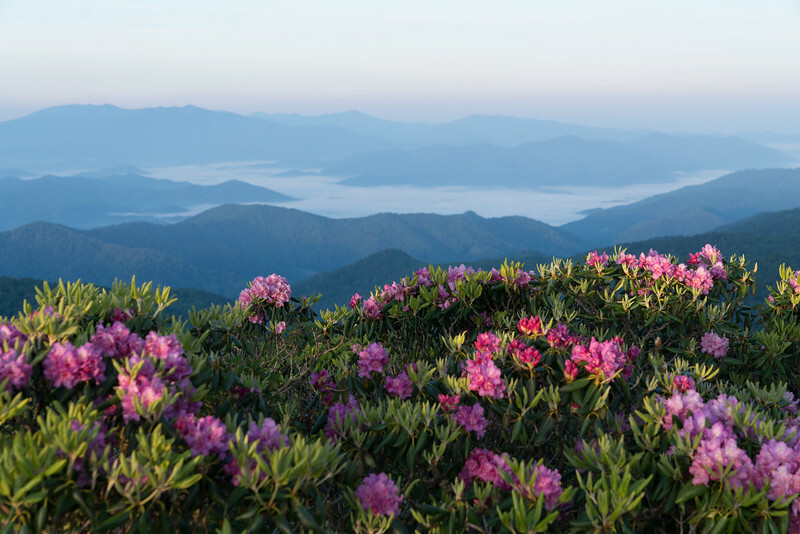 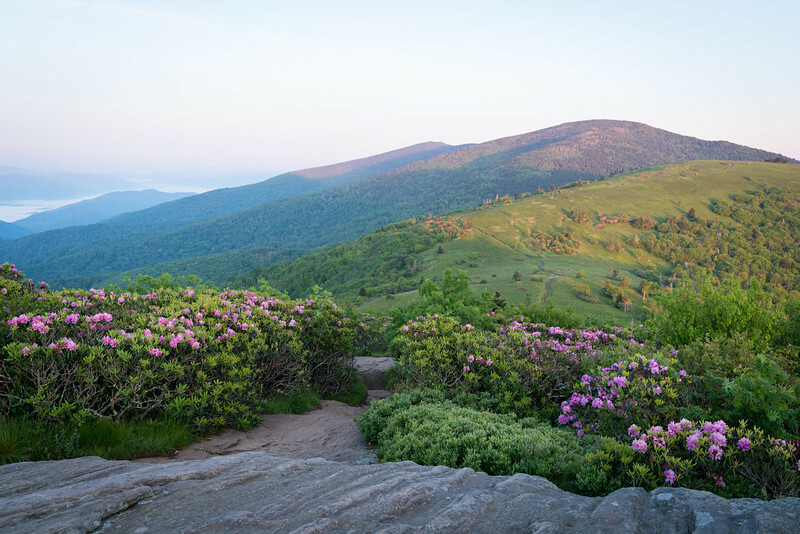 This stunning spot is along the Appalachian Trail and features an incredible rhododendron bloom in early to mid-June. 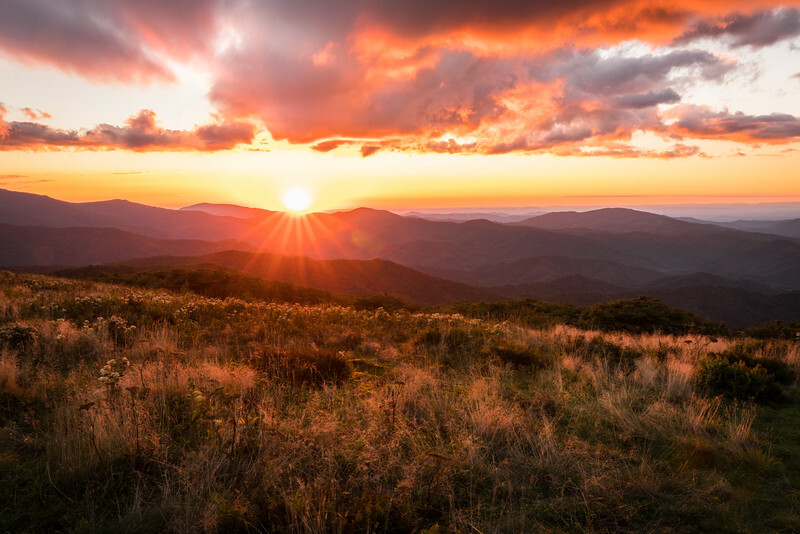 We were incredibly lucky to catch such an amazing sunset.